We’re supposed to be happy and gracious on Mother’s Day, receiving gifts and being fêted as the perfect Mum. At the Elite Nanny Company we know now that it doesn’t always work like that. 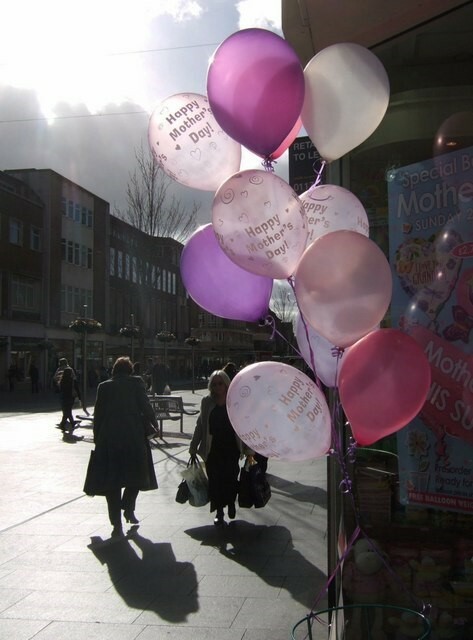 Many mums experience at least one truly rotten Mother’s Day and often they don’t feel able to talk about it because the expectation is that we’ll somehow rise serenely above any little glitches and difficulties. But what can you do if it isn’t like that for you? The media has given us a serious expectation mountain around Mother’s Day and yet for every mum there is inevitably a reality to face as well: grumpy partners, meals needing to be cooked, homework that needs to be ready for tomorrow, vile weather, feeling guilty about our own mothers and how we aren’t spending time with them, or resentful of the time we do have to give to them, or unhappy about how our partner’s mother is or isn’t involved … it can all be a bit of a minefield when we look at it honestly! So it can be important to scale your expectations to your reality – for example, make sure you get a couple of hours on Mother’s Day when you can relax and put your feet up, maybe ask your nanny to work that Sunday if it’s not her usual day, or even hire a temporary nanny for the weekend to free you up to enjoy your day. Planning ahead is the largest part of a successful Mother’s Day. Know what you want well in advance. If it’s breakfast in bed, focus on that, be clear with your family and ensure that everything is in place for it to happen. If you want to go out for lunch, make the table reservation in February – that way you know you’re going to get the table you want at the time you’re ready to eat. If you want to go pony trekking with the kids, ensure that everybody knows that’s what you’ll be doing, and that your own mother and mother-in-law understand that you won’t be visiting them in the middle of the day, because you’ve got a plan. Especially for mums who’ve undergone IVF, adopted a child, or experienced a still birth, Mother’s Day can be a bittersweet experience. While it’s amazing to celebrate your motherhood, there can be a strong undercurrent of pain for the trauma and heartbreak that went before. Allowing yourself to grieve is important, and recognising the seriousness of all of your experiences doesn’t just help you, it gives other family members the opportunity to express their feelings too. There can be tears as well as laughter – and that can be okay. One of our most-loved nanny candidates works in a household that is half American, half English. Rather than celebrating one Mother’s Day or the other (they are on different dates!) they picked a date of their own, the first Sunday in July, and that’s when they celebrate. It works perfectly for them: the kids are off school, the weather’s fabulous for their favourite activity – kayaking, and the parents are free, on their respective Mother’s Days, to make a fuss of their own mum (or mom) without feeling conflict.